Email from our man at the polls,Bill Massaro, with the results of the MSH vote today. Today is the election on whether to buy the Medfield State Hospital site. When I voted at 8 AM I was the 26th in my precinct to cast a ballot, so maybe 100 voters town wide. I hope people will take the time to register an opinion on what is a historic decision for the town. Polls are open until 8 PM. There are no contested elections for the town officials on the ballot. I am pleased to announce that the House of Representatives enacted the Medfield well field and water tower bill (S1889) yesterday in formal session. MEDFIELD: Question came on enacting S 1889 directing the Division of Capital Asset Management and Maintenance to transfer certain parcels of land in the town of Medfield. A roll call is required. BY A ROLL CALL VOTE OF 144-0, BILL ENACTED at 1:44 p.m. The bill will now move back to the Senate for enactment and onto the Governor!. Please do not hesitate to contact me with any questions or concerns. To see this in a browser click here. 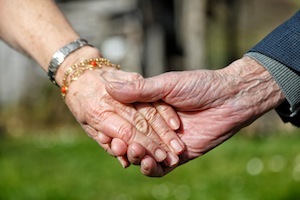 Residents There are 750,000 Americans living in assisted-living facilities. And as baby boomers age, that number is expected to grow. Years Old The minimum age for assisted-living caregivers in some states is just 16. Facility administrators aren’t required to have a high school diploma in 14 states. that human brain development is not completed until the mid-twenties, and both alcohol and marijuana use can have disproportionately detrimental effects on those not fully formed brains. Here’s an opportunity to learn about the Green Communities Act and the two articles on the Warrant in advance of the April 28 Annual Town Meeting. Voters will consider Article 34: Adopt Large-Scale Solar Photovoltaic Facilities Overlay District (POVD) Bylaw and Article 35: Adopt Stretch Energy Code. The Medfield Energy Committee and Town representatives will make brief presentations followed by a question and answer session. The agenda and related information is included below. Adopting Articles 34 and 35 at Town Meeting are two of the requirements to become a Green Community through the Massachusetts Department of Energy Resources (DOER). The Board of Selectmen voted in March to support the Medfield Energy Committee recommendation to pursue a Green Community designation to qualify for a base grant of approximately $148,000, with additional opportunities available for competitive grants.